Laptop batteries are batteries used to power laptop computers without the use of an AC power adapter. The length of time a laptop battery lasts is linked to the size of the battery and the amount of power used by a system’s resources. If you can’t get your laptop battery to charge, check out these tips to see if you can get it charged up again. A non-charging laptop battery can be caused by a number of different reasons, but a general troubleshooting principle for correcting this problem is to double-check and make sure the AC adapter used to charge the battery is connected correctly to the computer and to the power outlet. Also check that the power outlet is generating electricity (by plugging a different device to ensure it works). 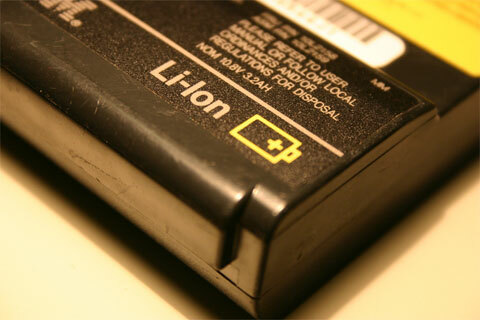 A laptop battery requires a specific voltage and current delivered from the AC adapter to be charged. Using an AC adapter that does not deliver the correct voltage or current specified by the laptop battery will cause the battery to recharge incorrectly or not at all. Dust and particle buildup between the battery and the laptop computer itself can cause a poor connection, resulting in loss of power or inability to charge the battery. Troubleshoot a laptop battery by removing it from the laptop and checking for buildup or residue on the battery’s connectors. If a laptop is run on the battery and then plugged into using an AC adapter, over time the battery will condition itself to run for lesser amounts of time than normally expected. This is caused by a problem with the battery memory and can be fixed by completely draining all power from the battery before fully recharging it with an AC adapter. These tips should help you determine why your laptop battery won’t charge and hopefully help fix the issue. If you have other tips for troubleshooting laptop batteries, please feel free to share in the comments below.